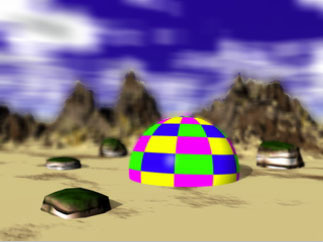 Use the BCC Z-Blur ﬁlter with a Z-map image to emulate a rack focus effect. Move the focal plane through the source image, using the Z-map to control the focus. Adjust the focal point, depth of ﬁeld and blur parameters to ﬁnetune the area of the image to blur. You can also set a channel from the image clip, then use that channel to control the z-blur effect. This type of effect is most noticeable in real life with a long focal lens, such as a 105mm or greater zoom lens. Note: Use a Z-map image that has bright pixels where the image pixels are close, and dark pixels where the image pixels are far away, or vice versa. You can invert the Z-Map using the Invert Z Channel checkbox. 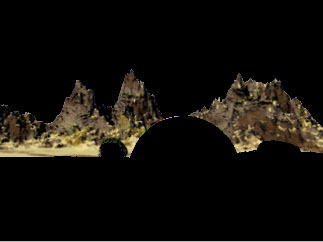 The following source image and Z-map are used in the examples in this section. The View menu lets you display either the ﬁnal render or the mask that deﬁnes the focus ﬁeld in the Composite window. Choose Normal to view the ﬁnal render in the Composite window. 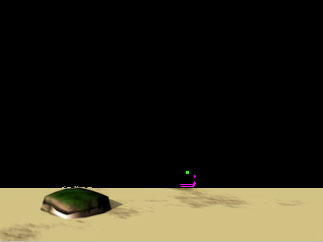 Z Map shows the ﬁnal Z-map, so that you can readily see the effect of the above two controls. Z-Map also colors the 0-level (where there is no blur) dark blue. Use the Blur Type menu to choose the type of blur to apply. The choices are Faster or Smoother. Smoother uses a different blur algorithm which produces a better looking result but takes twice as long to render. 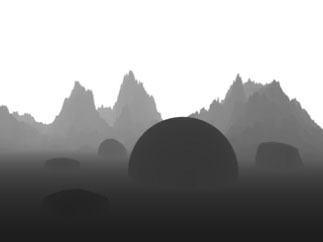 Use the Z Layer menu to assign the media that is used to create the depth map. Warning:You must assign media to the Use Z Layer menu to see any result from the ﬁlter. The default media assigned to the Z Layer track in the timeline is None, not the ﬁltered track. 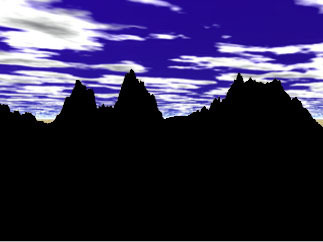 The Z Channel menu sets the channel to use for the depth map. Choose Alpha, Red, Green, Blue, Luminance, Lightness or Brightness. Luminance adjusts the tonal values in the image without affecting the hues. It can also be useful in retaining sharpness in the image which Brightness can reduce. Lightness and Brightness adjust the tonal values in the image, but they also affect the hues. Max Blur sets the maximum amount of blur to apply to the image. When Max Blur is set to 0, no blur is applied to the image. Blur Aspect Ratio controls the aspect ratio of the blur. Positive values produce a horizontal blur and negative values create a vertical blur. In the example below the clouds are blurred. Focal Point determines the center point of focus along the focal plane. Animate the Focal Point parameter to shift the positioning of the focal mask. The examples below show the same Z-Blur effect, but the second set of images shows the focus view, and indicates that the focus shifts from the foreground (ball) to the sky (background). Depth of Field determines the areas of the image that blur. Increasing Depth of Field decreases the amount of the image that blurs. The examples below show the same Z-Blur effect. The ﬁrst set of images shows the difference in Depth of Field with a Focal Point of 5, and the second set of images shows the difference in Depth of Field with a Focal Point of 5. As the depth of ﬁeld increases, the entire image becomes more in focus. The Invert Z Channel checkbox inverts the mask you assigned to the Z Layer track in the timeline. The following example shows Luminance as the Z Channel. 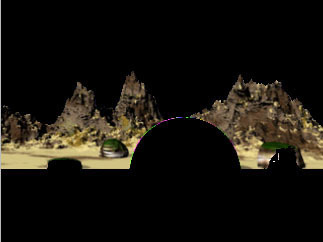 Smooth Z Channel blurs the Z-map before the channel is extracted. Z Channel Gamma alters the slope of the Z-map after the channel is extracted.